Getting into bird photography can be expensive, which is especially tough these days with such a shaky economy. Until now, the alternative to pricey photographic equipment has been digiscoping—using a digital camera to take pictures through a spotting scope. But this technique has drawbacks, including sometimes poor image quality, lack of autofocus and autoexposure, and a scarcity of well-designed camera adapters. 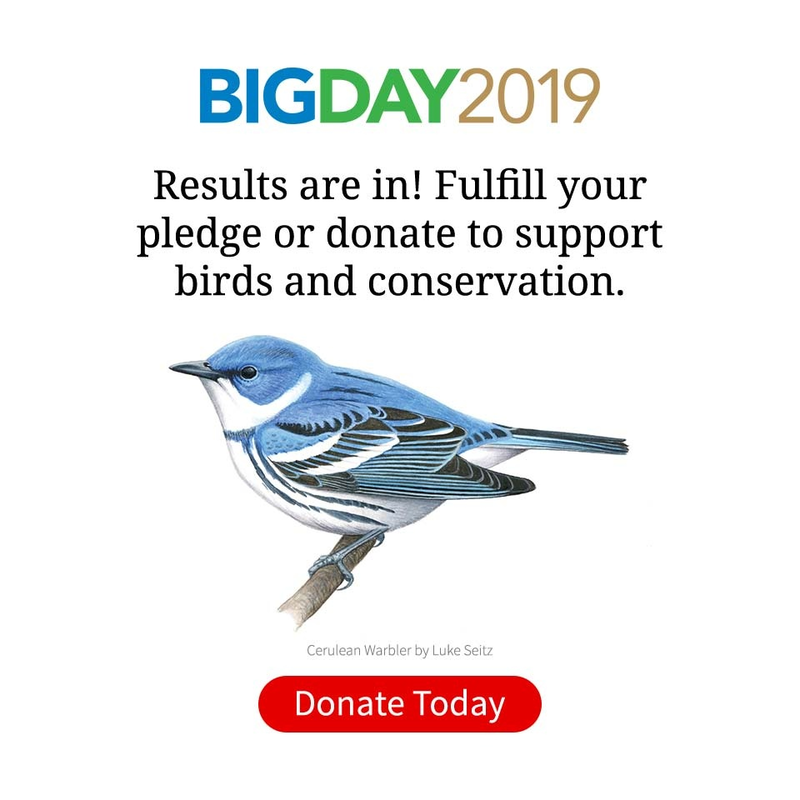 Digiscoping buffs continue to prefer point-and-shoot cameras, even though digital single-lens-reflex (DSLR) cameras have improved exponentially in resolution, image size, and image quality. Yet few spotting scope manufacturers produce scope adapters for DSLRs. Hutech Corporation now offers a new concept—DSLR-scoping—matching DSLRs with advanced astronomical telescopes, with precision optics designed for high resolution of distant objects. The result is excellent bird photographs without an astronomical price. Recently, I had a chance to test the Borg 77ED II, a 510mm apochromatic telescope, using a Canon EOS 40D camera body. Adding an optional 1.4x teleconverter gave me a final focal length of 714mm. Adapters are available for several major camera brands. I was struck immediately by how compact and lightweight the 77ED II is. Compared with the heavy, bulky super-telephoto lenses I usually use in my work, it was a positive delight to carry around. And the cost of this scope is far lower than that of a photographic lens of comparable length. On the other hand, the telescope’s shiny white barrel leaves much to be desired in the field, but the manufacturer plans to offer a fitted camouflage-patterned cover as an optional accessory. The 77ED II must be focused manually, and in two stages: first rough-focusing by sliding a “draw tube” in and out of the main barrel of the telescope, then using the knurled helical focusing ring around the barrel to fine-focus. Even with my autofocus lenses I have to switch to manual focus sometimes, but this two-step focusing process took some getting used to. The fine-focusing ring was rather stiff to turn, in comparison with the easy rotation of modern photographic lenses. Furthermore, when I slid out the draw tube to rough focus, I often inadvertently twisted the camera, changing its horizontal or vertical orientation slightly. Once rough focus was obtained, I found I needed to lock the draw tube in place, using the thumbscrews on the scope’s tripod collar, otherwise the camera would twist while fine focusing, too. Looking through the viewfinder, I was impressed with the bright image, which enabled me to determine correct focus visually. Even better, the camera’s focus alert (beep and blinking light) and through-the-lens metering work with this setup, allowing autoexposure but unfortunately not autofocus. Finally, examining the results on my computer screen, I was very happy with the image quality—bright, sharp, with good contrast. 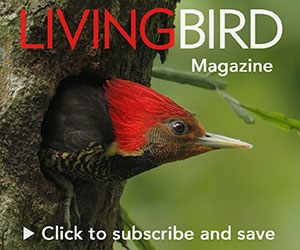 My shot of a Red-bellied Woodpecker (at left) will definitely end up in my keeper files. 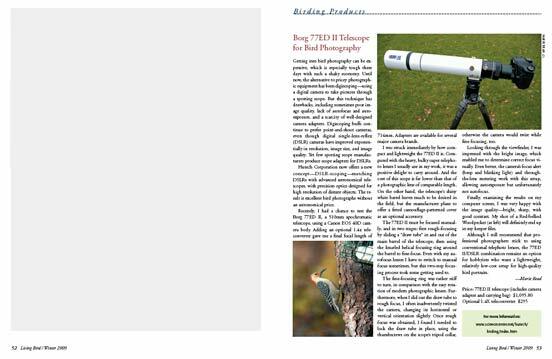 Although I still recommend that professional photographers stick to using conventional telephoto lenses, the 77ED II/DSLR combination remains an option for hobbyists who want a lightweight, relatively low-cost setup for high-quality bird portraits.